There's no better way to introduce your family to the wonders of live theatre than with the magic, the mystery, the memory of 'CATS.' 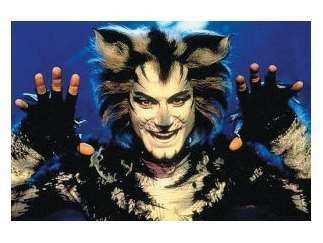 Now that its been seen by millions of audience members worldwide, it's time to introduce 'CATS' to a new generation. With a book based on the poetry of T.S. Eliot and a score by Andrew Lloyd Webber, this groundbreaking musical won seven Tony Awards. Its New York run was the longest in Broadway history; its London production has been running since 1981. With this new North American tour, the 'CATS' phenomena has continued to live up to its motto: "Now and Forever."